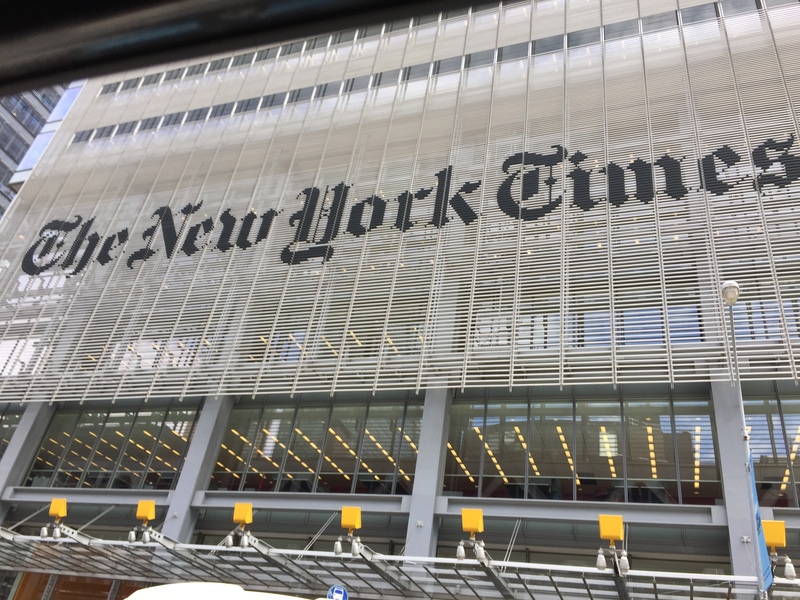 Exclusive: The New York Times continues its sorry pattern of falsifying the record on Russia-gate, giving its readers information that the newspaper knows not to be true, reports Robert Parry. If Russia-gate is the massive scandal that we are told it is by so many Important People — across the U.S. mainstream media and the political world — why do its proponents have to resort to lies and exaggerations to maintain the pillars supporting the narrative? A new example on Thursday was The New York Times’ statement that a Russian agency “spent $100,000 on [Facebook’s] platform to influence the United States presidential election last year” – when the Times knows that statement is not true. According to Facebook, only 44 percent of that amount appeared before the U.S. presidential election in 2016 (i.e., $44,000) and few of those ads addressed the actual election. And, we know that the Times is aware of the truth because it was acknowledged in a Times article in early October. As nefarious as the Times may think it is for Russians to promote a Facebook page about “adorable puppies,” the absurdity of that concern – and the dishonesty of the Times then “forgetting” what it itself reported just two months ago about the timing and contents of these “Russian-linked ads” – tells you a great deal about Russia-gate. On Thursday, the Times chose to distort what it already knew to be true presumably because it didn’t want to make the $100,000 ad buy (which is not a particularly large sum) look even smaller and less significant by acknowledging the pre-election total was less than half that modest amount – and even that total had little to do with the election.